Download Your FREE 12-points Checklist to make sure you don’t miss anything before applying for AdSense. What one of your readers likes may be bothering someone else. Then it is better to give them an opportunity to speak up to you and tell how they feel about your blog, what they want to be edited , what they liked or hated. Create a contact page, if possible add your email that you are going to apply for Google AdSense. If possible do get some professional email address like ammar@allbloggingtips.com and your social profile links too. Check out my contact page to get some idea. Dillon got his AdSense account approved with just 3 posts, 115 views, and 2 comments. Isn’t that great? This is the mistake that new bloggers are making who are less than 18. They write incorrect age and get into trouble. 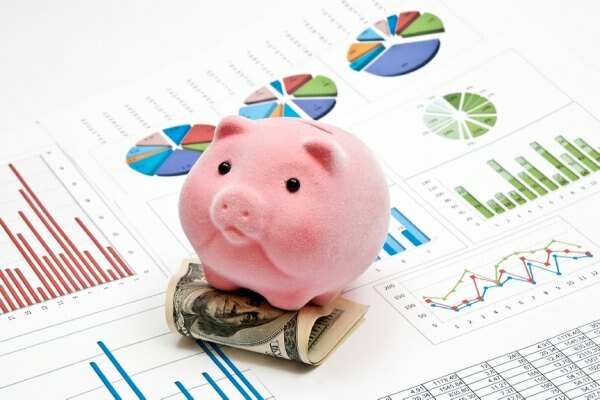 Check out my post on the reasons to invest more money on your blog. Google AdSense team mentioned in one of their forum posts that they stopped accepting niches that are already saturated i.e making money, marketing, website and SEO stuff. You can read more here. As for today, you must have your own unique domain that specifies your blog. If you don’t have one yet, stop dreaming about getting approved with sub domains and go buy a Top Level Domain. It will cost anywhere from $10-$15/year. You can buy the domain from Godaddy or Namecheap. 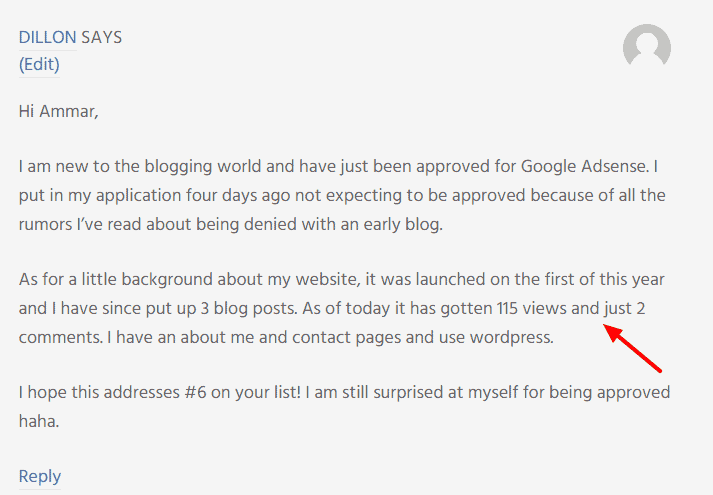 Shibam got accepted by Google AdSense with 28 posts and a 6 months old blog. He managed his blog from mobile only. What to Do If Your Application Is Rejected? Okay, so you had done trying everything you could to get approved by AdSense. But, AdSense is still not getting approved. #1: Don’t lose hope. Take your time to fix the issues on your blog that is mentioned by AdSense in rejection email and apply again. Remember, if you are disapproved, you can apply again and again until you finally get approved by Google AdSense. There’s no issue with that. Just use the same email account that you used for the first time. #2: There are many other trusted and high paying ads network you can use and trust me they are not hard as Google AdSense is in terms of getting approval. One door of opportunity is closed so the other one will open. You can use these ad networks to earn money without AdSense. They are easy to get approved. Media.net is probably the best alternative to AdSense as it’s powered by Yahoo Bing Network. I’ve tried Media.net few years ago and the average CPM was much better than any other AdSense alternatives. Media.net ads are quite similar to Google AdSense and it’s very easy to get approved if you’ve a quality blog. BidVertiser is another top alternative to Google AdSense which pays you for valid clicks on ads placed on your website. It is great Adsense alternative if you didn’t get Adsense approval or got banned. Bidvertiser offers Banner ads, Text ads, Mobile Ads, Slider ads etc. You can also make money by promoting your customized toolbar. Infolinks is the leader in in-text advertising which offers 70% revenue share even if you’re a newbie blogger. It is different from other advertising networks. It takes less space because it shows in text ads or pop up ads. You can use it with Adsense safely. It is a pay per click. They offer advertising options like: insearch ads, intext ads, inframe ads, intag ads. I’m happy to hear that, Qadeer. Congratulations. My adsense request diapproved 2nd time. But after reading your blog, i am bit confused. You said domain has to be 6 month old in asian country. My domain in 2 months old & it is approved with 15 articles and another domain is disapproved with 12 articles. The reason is under construction. How many post are required? The requirement of 6 month old is not must. It is explained in article above in details. There are many people who get approved for blog with age less than that. It depends on quality, content, website user experience, and niche of your blog. You mentioned that Adsense has stopped accepting applications on websites which are based on money making, marketing articles. Sorry to say that it’s completely untrue coz my website is based on money making and I got my Adsense approved within 47 days of starting the blog. My blog has just 10 posts about 1000 views and 1 comment. So I think you should probably remove the part where you said that because a month back when I was going to apply for Adsense, I came across this article. And I was on the verge of deleting my blog and starting another, but something made me give up that mind. Congratulations, I’m glad you got approved. Thank you for sharing your experience. Hi Ammar, my website was still under the activation process…that’s when I decided to go through some tips. So I came to your blog. Great tips… and this morning guess what? My website did get approved!! Thank you for the info! That’s wonderful news, Madman. Many congratulations on the approval. I recently applied for AdSense, but I was told to some issue in order to connect to my site ( Valuable Inventory : Scraped content). But my site is a forum, its content is generated by user who post in the forum, they are responsible for posting copyrighted content, but I thought Google would understand this. Pls How did you think I can contact AdSense for this. Before applying to Google Adsense, Is it mandatory to remove footer credit of your theme (if we are using free blogger theme). I have also a question, can we add editable google image in our blog post and how many days to take for google adsense approval? The footer credit is not going to have any impact on approval process. It is better to create own images or use free stock images with no copyright issues. Sorry, no idea about the card. BOOM!! I got approved the next day after I register for Google AdSense. To be frank, I really gonna share this to some of my friends, they really need to gain from this. Hi, I received a reject from google adsense, but they didn’t give me a reason. Is this normal? I replied to them asking for a reason. In your experience, will they reply to me. Does the rejection email usually have a reason? great article , lots of things i have learnt from this article . It is recommended to add these pages. This shows readers they can trust your website. Pls admin, i have applied for google adsense and it was not approved, is it still ok if i apply for media.net? having in mind to reapply for google adsense when i fix the errors in my site. That’s fine. I don’t think so there’s any issue. Thanks for writing this detailed post. It will be of great help to new bloggers. I would like to ask you whether one can be successful in adsense for a non-niche blog? By successful I mean whether one will be able to generate some decent income from it. 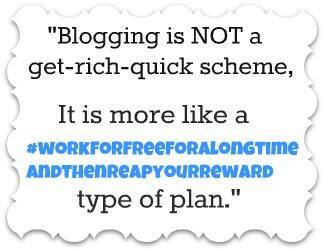 If your blog gets high traffic, then you will be fine with making decent income from it. You need high traffic to generate income and clicks for AdSense. Your article has good content about the understanding to get approval from Google Ad-Sense. I’ve some doubts. I’ve applied for ad-sense 2-3 times and I’ve fixed all the issues which can be the rejection reasons. But I’m unable to getting approval from Google, they are not giving reasons for rejection. Please suggest me, how I can I get approval from ad-sense. Thanks so much Ammar. You did your best to enlighten us on what exactly we need to do in order to be on the AdSense bandwagon. Your article made wonderful reading and believe me, I didn’t think I would be able to go through all the 3000 words you stated above. In the end, I gobbled all and was still panting for more. Amazing work! Keep it up. 1. How much I could earn from AdSense with my website per month? b. An Amazon affiliated niche website. 1) It depends on different factors. If you have good monthly traffic you can generate high income. 2) For adsense, you need good number of visitors and for affiliate you need quality traffic which really want to buy the products. Hey, I really like your post, I did not think that I’ll read the complete 3000 words, but I did. I’m sorry my comment gonna be a little longer but I’ll try to cover my question in as short as possible. This has happened around 3 to 4 years ago, I had an adsense account and I was using it on my tech website and game website. But suddenly Google has deindexed my website completely from it’s searching. Now I have created a new website and it is now around 5 to 6 months old and getting around 100 visitors a day. It’s about banking BTW. Now when I open my adsense account it is showing my account is disabled I don’t know the reason but could be that ad was live on google penalized site. can I get adsence enable back with current account? if not then I’ll have to apply with new email and the new website is added in google analytic and webmaster tool using old email account(which has adsense disabled account) so I’ll have to remove new site from old email completely, right? What other things I’ll need to take about before apply for new adsense account? because I have read that once your account is disabled then you can not get a new one with even new email as well because they will detect it. is it true? I dont want to ruin my 6 months of hard work (new website). I hope I’ll get a response from you soon on this because I’m planning to apply for new AdSense account soon. Thanks a lot for this helpful and elaborate post. I have actually benefited a lot from it. I happen to have applied for adsense and my application was rejected. As you know, google does not tell you the reasons as to why they do so. When I read this post, I see that most of the issues pointed out do not affect me. So I would like to find out what could be the possible reasons behind the rejection so that I can work on them. Could you please be of help to me? I will be so happy. Secondly, after working on the issues, how long should I take to reapply? You have provided a very informative article. I have one question, after Adsense approval, can I place ads on a low quality website? I am asking this question because I have seen few websites(which are created few years ago) which are very low quality, still they are showing AdSense ads. Please let me know your view on this. I’d suggest to use adsense on high quality website that has unique content and good number of visitors. Google is looking for quality websites to server ads. By mistake, I have 2 Adsense account but both are not active, when I apply for it then AdSense team says me you already have another account, I want to cancel one but there is no option to cancel, settings button is not working in my case. I actually have no idea about this. I suggest taking look at official AdSense forum. You may also ask your question there to get accurate response. in the account information section under the Account option, there is the option that says “Cancel Account” you can go ahead and cancel your account from there. Interesting Post and vital one for me too. as I am just going to start google adsense channel for my website. Btw I want to ask one question to i have a news websitefor which they are running 2 adsense accounts one is for youtube and the other is for website. Is their a way through which I can merge it into one. though from the second channel that is the website one , I have yet not started making any money. Both are approved by Google!! I’m not sure about this but you can ask or find this question in official adsense forum. Good luck! I have a baking blog. The first time I applied for Google Adsense I was not approved because of insufficient content, specifically not enough text (that’s what they said in the email). So I made sure to beef up my posts, no less than 1000 words, added more pictures, and when I applied again the second time I was approved, even though I only had 8 posts! I have original content, original pics, responsive theme but got rejected twice. The reason for rejection was “not in compliance with webmaster tools”. Can anyone help me with this issue? Thanks Ammar for this blog post. Getting Adsense approval is my current problem right now. Each time I try to check on my Adsense account the response is “we’re working on setting you up.” This has gone on for more than three months now and I know your article has pinpointed where this delay is coming from. Thank you so much. My accounts never disapprove by google. It never happens if you follow the required instructions. Wow. Great article! Thanks for the tips. I didn’t know that there will be some issues applying for adsense. I just recently purchased website, it’s more of a portfolio type (we’re graphic designer) and we’ll include articles related to art. Basically, it a combination of professional service + art blog. Do you recommend to change it to articles content homepage rather than the portfolio type? I mean to focus more on the blog post to get a high chance on getting approve. I’d suggest to change it to articles content homepage and focus on regular posting of content. It will increase chances of getting approved. Hi! I have a bit of a weird one. I applied for Adsense at the end of January but was unsuccessful due to lack of content. I had since left it and continued to add more content but today I noticed on Blogger that my Adsense account is apparently disabled due to invalid traffic. My question is how can my account be disabled when I was never approved in the first place? Has this happened to anyone else? Thanks for the info, sir i tried for approval around 5 days ago and i got a message of “not approving”. So i want to know that if we are using paid theme then it will effect on our google adsense approval or not? No bro it does not affect just use simple and mobile friendly theme.Google adsence will approve just write some good post customize theme and get traffic .Give some promotion for your blog like if you only spend 300rs on fb ads and get some reader who interested in your blog and then apply for adsence then it is good.and approval is must. Thanks for all the tips. But I think my blog met most of the criteria you mentioned. However, Google Adsense has been a difficult customer to please. I have gotten rejected multiple times from adsense but got my blog approved by Media.net on the second try. Not sure what I can do to get them to approve my blog… probably the type of content which is not what they want. But it should not be the case as i realize that google ads are now cookie driven than contextual, so topics should be of less relevance to them, rather how the blog/website adds value to the reader. So, does Adsense check the content on your blog, youtube-channel or whatever before approving it? I had the impression that the review rather was automatic i.e. that the only thing that was checked was how much traffic that you had and and not that the content was good, didn’t include prohibited content etc. I have heard stories of how ads from decent companies have been shown together with (and thereby sponsoring) youtube-videos showing hateful speech, violence, slaughter of animals etc. Any idea if that is more like urban legends or if the problem is that people start with respectable channels or blogs etc. and after having been approved, change them into sick things? Does Adsense keep checking that you don’t change your account into something that breaks their rules? Thanks for the info. I have had an adsense account for many years. Because I moved to another country I had to cancel my existing account and start a new one. However, it does not allow me to connect it to my website. Do you have any idea how long it takes before I can create a new account and link it to my website? I am not sure what could be the reason. I suggest contacting adsense email support or try AdSense forums. Someone from the team would answer you. Thanks Ammar, that is what I will try then. I am currently applying Google Adsense. I have signed up an account but the homepage doesn’t show any code which I can insert into my wordpress header section. It has been more than a week and I still couldn’t find the way on how to obtain the code so Google can at least review if my website is suitable for adsense. Hope to hear from you soonest what I can do to get the code from homepage. If you completed all steps during applying for AdSense, you should get an email from them soon. If not, they might be reviewing your website. If it’s partial approved you will get code to add to your website. Hi I am Paul and i am from Philippines, and i want to share this to you. To get approved by google adsense, never forget to include your own language in your first 10 blog post this is very effective if you are outside of an english country. Why? My blog is a multiniche in a tagalog and english language language and what happen is that i able to get approved by google adsense after 2 weeks only. Just want to share this tip. Usama, my recommendation would be to invest some amount to get your blog up and running. 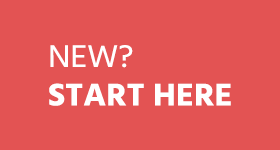 Now you can start your own blog for as low as just $3-$5/mo. HI Thanks for the post I lv it. I have an Google Adsense account that i am currently using for my Youtube Channel (Hosted adsense account). I also have a newly make website which i wanted to get apply adsense . So how could i add my website to my current adsense account which i made with my youtube channel? Can you explain the main steps or any post related how to do it? My site is 4-5 months old as I am from Pakistan so there will be domain age restriction, Can I apply from another country ? It’s better to wait than to use methods which can get you in trouble in future. I am totally newbie in the field of WordPress. However I started blogging just one and half month ago on wordpress platform, earlier I used to publish my thoughts through blogspot. Please note I am not getting much traffic as of now, but being a blogger after publishing couple of articles I must think of making money through blogging . I started googling and found your article regarding getting approval for adsense and how to monetize a self hosted blog, and I was worried after seeing your sayings to one of your subscriber ” Keerthy, as you’re from India there’s 6-month domain age restriction before applying to AdSense. “. Fortunately :) my application got approved for adsense. For your kind information I am from India and my blog is just one and half month old with only 40 posts on it. There is no such 6-month domain age restriction, as you can see my blog got approved to show ads. Thanks again for informative post. Congratulations, Syed! We’re so happy to hear that you got AdSense approved. Good luck!! Great stuff! I’ve to use the search engine to find out what is required to get Adsense approval. I had applied twice for Adsense approval yet got disapproved. I was never sent a disapproval mail indicating what I need to fix. Each I get to know of the disapproval when I attempt logging into google Adsense. With you tips, I’ll be good to go. Hi Ammar, Really nice article. I have also applied for adsense but rejected and the reasons are as below. 1. It’s important for sites displaying Google ads to offer significant value to the user. As a publisher, you must provide unique and relevant content that gives users a reason to visit your site first. 2. Don’t place ads on auto-generated pages or pages with little to no original content. 3. Your site should also provide a good user experience through clear navigation and organisation. Users should be able to click through your pages easily and find the information that they’re seeking. Can you please suggest me what should i do next to get approval? My domain age is 5 month. Hi, I was just wondering if you had any advice. I have recently started a blog (2 months) and tried to apply for adsense, but i do not even reach the point where i get rejected. I just get told that this URL is not available to sign up to adsense. I checked on the google tool that shows you how your ads can be shown and that was fine, so we have not been banned. My site used to be on WordPress.com and we was advertising through google there. But once we migrated over to .org. we found that the Url was unavailable. I have been forced to apply for media.net, which has been accepted. However i do not like the design and also the double click method that they employ. I was just wondering if you have any advice. I am a newbie blogger, I am just starting in this industry or world, I don’t really have that much idea or how to do’s and some strategies to have a successful blog. I am still doing a lot of changes on my site. Recently, I just moved to a new domain and deleted my wordpress site to avoid duplicates. Me and my boyfriend tried to applied recently on Google AdSense, however, they rejected me. Now, my boyfriend shared this article to me and this is really a great help. Tips on what to do’s to improve my blog site and get approved by Google AdSense. I am A Filipino/Cebuano citizen! Thank you Joshua. I have gone through all the top bloggers in Nigeria and I don’t see about us, private policy or contact us pages on their blogs. And they all have Google AdSense. The article is an insight I love it. Thanks to Ammar. Just wanted to pop in and say thank you for the advice! By following these tips (and a few others as well), I was just approved today for Google Adsense with only 9 posts on my blog after previously getting turned down. Can’t wait to get it up and running. Thank you!! and easy to get account, but for small country like Cambodia we need to apply more than 1000 times always say reject sorry your website, or blog, does not comply with our program. – and after get approve, when payment reached 1000$ up will be disable without any reason. They will say u are broke the rule, they have 1000000 reason for closed our account easily, so that why i stop use Adsense. How long did it take you to get a response from adsense? I submitted my application 10 days ago but still haven’t heard anything… I’d say check out my website to see if you think it’d be up to par. Ammar, can I link my site here? I don’t want to overstep and be rude. Maybe you could give it a look? Thank you! I applied for adsense before 20 days for youtube channel which don’t have any videos and still i didn’t receiived my code. at the time of application, at the end i got mail as application under review after that i received a mail stating approved. but i am unable to find code. It’s just so simple, go to google.com/adsense and use your youtube login details to access your account. Hi, my name is Jasmine and I wanted to commend you for the advice that you shared on this post. I started my travel-based blog (www.thatwomanfromny.com) on July 3, 2016 and applied for Google Adsense last Friday (7/15) and was approved in less than 24 hours! I am proof that you don’t necessarily have to wait 6 months. I do live in the States so I don’t know if that is a variable but I gave it a shot and got a reply rather quickly. My first week views hit about 200 views based off of Google Analytics and my daily posts are consistent with about 500+ words. I don’t have a glamorous website, in fact the only decorative sign is my name logo I did on Adobe Photoshop, but it is organized. I followed everything to the T as given in this article and it does work! It’s wonderful to see success stories like yours. I wish you best of luck for your blog. Yes. . Even. I got approval within 2 months of my website. But we just need to follow google policy only. I got adsense for my within 3 days and my blog was only 10 days old. What’s the reason given by AdSense in rejection email? If you could share I’d be glad to take a look and see what we can do. Thank you for your interest in Google AdSense. After reviewing your application, our specialists have found that it does not meet our programme criteria. Therefore, we are unable to accept you into our programme. We have certain policies in place that we believe will help ensure the effectiveness of Google ads for our publishers as well as for our advertisers. 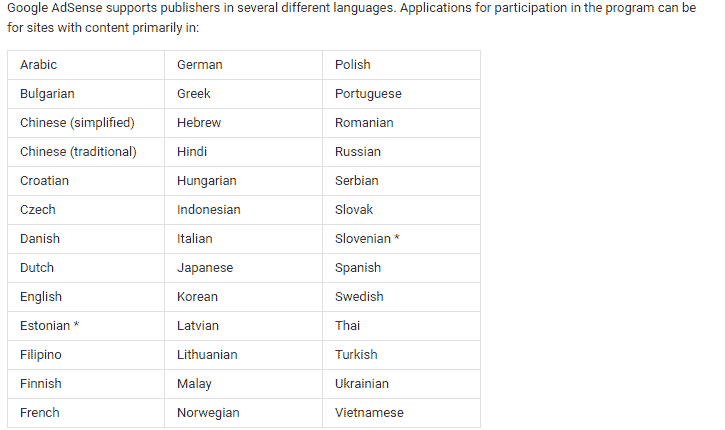 We review all publishers, and we reserve the right to decline any application. As we grow, we may find that we are able to expand our programme to more web publishers with a wider variety of web content. I don’t find any of this true. I applied for Adsense when my blog was new, hardly any posts and I had affiliate links. Still got approved. Congrats on getting AdSense approved and thank you for sharing your experience. You’ve a great blog! I absolutely love the design. I’d suggest you to show full posts on home page instead of excerpts. See if it works or not. Can we use the Google Images search items in our new website by using filter in setting Unrestricted and Free of copyright photos ? Does Google also verify images we used apart from unique written content ? What is the ruling of using images for new website and blog ? I don’t think AdSense uses any filter to find copyright images. However, to stay on the safer side I recommend to give proper credit to original image author. I am planning to create a website containing diet plans and nutrition advises. Does adsense accept this kind of websites? Sure, AdSense shouldn’t have any problem accepting this kind of blog as soon as it’s according to their requirements. I don’t assume of these things necessary as me and my friends got approval simply by giving the domain and that we had solely 2 articles revealed with no such regarding or Contact U.S.A. Page. 1. Since I started with the fb page, most of the traffic to my website is from the facebook page. Is it ok if apply to adsense again or should I wait for the organic traffic to grow? 2. Pl let me know your feedback on my website design. It would be of great help. Thanks. There’s no issue if you have traffic from Facebook as it isn’t something to worry about when applying for AdSense. Secondly, your blog design is great. I really like it. I suggest to add privacy page in top menu in header. One more, Keerthy, as you’re from India there’s 6-month domain age restriction before applying to AdSense. That’s something you need to keep in mind. I am also a new blogger with just few posts and i used google blogger. As you wrote this article about adsense and a great one too , i just wanted you take a one minute look to my blog and suggest anything you thing would be good in increasing traffic. Another thing that i wanted to ask you is that my adsense account is approved and i have also placed the adsense gadgets live on the blog but the problem comes is that the ads wont show up, its just a white blank space i have tried every color template for it, please tell the solution to this. Your blog has a poor design, Abdullah. I don’t like it at all. Are you able to login to your AdSense successfully? If yes, that means you’ve an adsense account. Check if it’s hosted or non hosted. Because usally it shows blank ads when adsense is in pending review. I am reading this article very attentively and checking my site again and again. Though I have not found anything wrong to be rejected by AdSense, I am in a little confusion. I cannot judge my site regarding content quality as English is not my first language. I have bought my domain and hosting from Godaddy and have launched my site on 31 January and published 37 articles. One of my friends was insisting me to apply ASAP but I was worried about the number of posts. Now Dillon’s inspires me a lot. I will apply within 2/3 days. I am using a free theme now. I will buy a premium theme after 2 months. I hope it will not be a problem. Can you just give me a little advice about my content quality? Please………Your advice regarding any issue about my site will help me to have a final check before applying. And I will be glad and grateful if you really do. I just checked your website. Your theme is great, domain is around 6 months and content quality is also good. I wish you best of luck, aim high!! I left the comment here on July 3 and on July 5, I applied for adsense and waited with a high rate heart beat for 2 days. I could hardly sleep for 2 nights. But finally on July 7, I got the confirmation from google team. I am really the lucky one for having the approval at the first time especially from Bangladesh, aint I? I have already placed ad on my site. What I need now is huge seo. I hope I can do that. Thank you again for publishing this article that inspired me to apply with confidence. Is it true that a blogger has to open US gmail account and use US address to sign up for google adsense before it can be approved? hello Amar bro! Is a blog or website is compulsory to apply for an adsense? The answer is NO. You can get AdSense approve with Youtube even if you don’t have a website. This is very useful information about AdSense approval program.Thank You. Congrats on getting AdSense approved. Time for party!! Are you implying that Adsense will not allow other advertisement placement on the blog except from Adsense? I operate a blog with a good number of adverts already but not sourced from any of the Ad networks indicated above. Hence, I want to know if my blog is eligible for Adsense. What I meant was to remove any ad networks you are using when applying for AdSense. Once you’re approved you can use them again. AdSense isn’t against using any ad network along with it. I think you still need to work on your blog template. It looks unprofessional. I accidentally resubmit my non working website (I deleted because it was not approved) . Is there a penalty on submitting non working website? I am worried because the email that I used on that application is the email that I am using on my YouTube channel. You might get a chance to resubmit using a new domain. I created a blog 4-5 days ago in which published 5 posts . Please visit my blog if u can and suggest me what i can do further. This doesnt able me to submit my application for adsense. 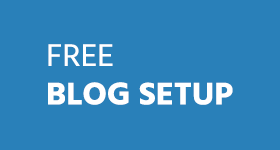 With little help of Google you can find many great free blogger templates to use. Secondly, I recommend posting your problem on AdSense official forum to get reply from expert team. Please help me out. I have posted 100+ short articles in English and Tamil. I do not focus on one particular topic instead I use my blog to write funny stuff. I have 1000+ visitors and still keep getting rejected for insufficient content. As my posts are really short, will it be approved if I manage to post the tiny bits in one complete page? I want to monetize my Youtube channel and hence I need this to be approved asap. Kindly help. Thanks in advance. If you want to monetize your youtube channel then you can go to your account setting and apply for AdSense from there – it’d be much easier to get approved. Now for blog, I recommend to remove your homepage temporary and use it to show your recent blog posts instead of a separate page like yourwebsite.com/blog and see if AdSense approve or not. I don’t think all these things are necessary as me and my friends got approval just by giving the domain and we had only two articles published with no such About or Contact us Page. If your domain is registered by another person name, Means I have a website but its not on my name. I paid to some one and he registered it and give it to me, So i just wanted to know that is it a big deal or not. Not a big deal as long as you are the owner of domain. Thanks so much for this article. I was surprised to see my application turned down today, but now I think I know what I need to work on. I appreciate the advice! Keep me update how it goes. how much have you earned till date ? and what is your age ? This article is really effective and informative.. i really appreciate it. Your help and response will be appreciated. It’s great Masood. I’d suggest you to work on your menu. Instead of adding categories in the sidebar, add them in your menu along with about, privacy pages. Hi, Ammar Ali Vai, Thank you for your great post. Recently I have created “Computer Review” related website. I have tried to make my website user friendly. I also posted 45+ content about Laptop review. Now I would like to apply for Google Adsense. If you would visit my website and give me any suggestion about my website for Google Adsense Approval it would be better. Please visit my website if you have free time. Allah Hafez. It looks good. The only thing left is your blog design. It isn’t great enough. You can find many great professional WordPress themes for free if you just spend some time on searching. Thank you brother for your suggestion. I am a tech blogger. My blog is 9 month old and have 18 posts. Which tips you mention above I have used but still Google is not approving my Adsense application. What Could be the problem? Please if you have little bit time look my blog and bro please suggest me tips. I hope you help me. Thanks in advance. Unfortunately, we can’t guarantee anyone that following above tips will result in instant approval. I think you still missed some points mentioned in the article. Your blog doesn’t have a good design. The menu looks wired. It isn’t optimized for users. All important pages are still down there in the footer rather than the header. Plus, your content isn’t that great enough. For example, you’re covering making money articles which are already saturated and isn’t supported by AdSense. Another reason is the poor grammar. ok thank you so much bro for your valuable advice. should i sign up adsense account on my blog before 6 month of creating blog.?? It’s better to wait if you’re from India. 1. Will it get approved or is there a red flag to this kind of content. 2. I will allow users to post their own recipes, but some users might even copy recipes and upload them i think, is it allowed by google ? Please advice as it would be of great help. Thanx. 1) It’ll get approved because receipe or food related topics are not in their unsupported list. So, yes go ahead. 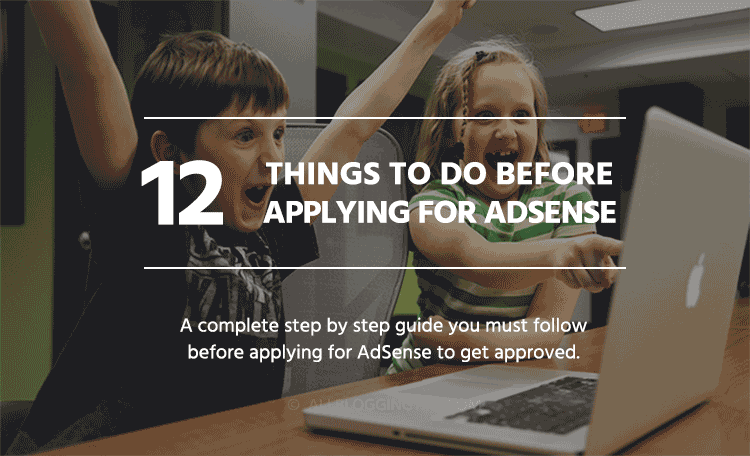 2) It isn’t a good idea before you get AdSense approve. However, you can place restriction that your user shouldn’t copy recipes from any other website. Try to follow all the tips mentioned above to get adsense approved quickly. After you’re doing you may allow your visitors to post recipes. URL must not have a path (example.com/path) or subdomain (subdomain.example.com). I what should I do to resolve this as I don’t want to purchase the website domain and I am using a free version. Megha, AdSense doesn’t support sub domains or path so you will have to buy a domain name and then apply with it. Hello , can i use free domains like ( .tk , .ml ) to approve my adsense ? Thanks for the great information Ammar. Well I applied for Adsense right before I landed on this post, not sure if I am going to make it or not. But I am definitely going to benefit from this article. And the most surprizable fact is, I made and maintananced this blog with my android phone only. Even I edited my template in phone using wps office app and offcource in offline then I uploaded the theam on blogger. To setup my custom domain, I only went to internetnet cafe. But I think its a largess of GOD. Thanks GOD. You are great. In my case. I have tried all the steps and also have more than 100 posts still I have got rejected for 2nd time. I created my blog 4 days back..and I am trying to register myself for google adsense..they asked me for website which is already mentioned there ..but when I clicked on continue..then wont get anything..I am trying since yesterday..can u help me out.. I cannot able to submit my adsense application. When i try to submit it says unfortunately you application cannot be submit at this time. Help me to submit my application. Thanks in advance. What error do you get? Are you unable to add your URL at the time of submitting new AdSense application? Anyway, nice post, helped a lot. Blogging is not just about making money. It’s about helping others and providing values. Every blog must have these important pages. Do you want to stay stranger to your visitors by not writing about page? Do you not want to hear what your readers think through contact form? If doesn’t matter if you apply for adsense or not but these pages are very important because it gives good impression to visitors. How much traffic your blog had before applying ? I applied but had very low traffic and got rejected :( what advice would you offer me? i wrote only 6 articles on my blog then i applied for google adsense and i got approved it. Did u write those articles in a blog or a website??? Get inspired by this writing. I have tried twice in applying Google Adsense, but not success yet. But I am trying very hard to fulfill Google requirements. It will be very proud when our website display GA.
What I think is that your blog is new and you get traffic from social media only. Your blog must be related to funny images or so on? Your blog might have images only but no text like our. You might need to consider adding text with your photos. Hi AMMAR ALI Thanks for your helpful information.I have a question Adsense approve my blog if I publish ezinearticles or similar article platform article on blog?Please reply I have not good article writing skill. No Milon, that would be hard to get approved. Because your website won’t have UNIQUE content that is helpful for visitors. Thanks for reply I have hosted adsense account I got it from youtube. I’m already setup it my blogger blog.But I can’t see my add adsense says your account approved.Also I don’t got any mail from adsense.Can adsense show ad my blog from my hosted account or need to create new adsense account for my blog? 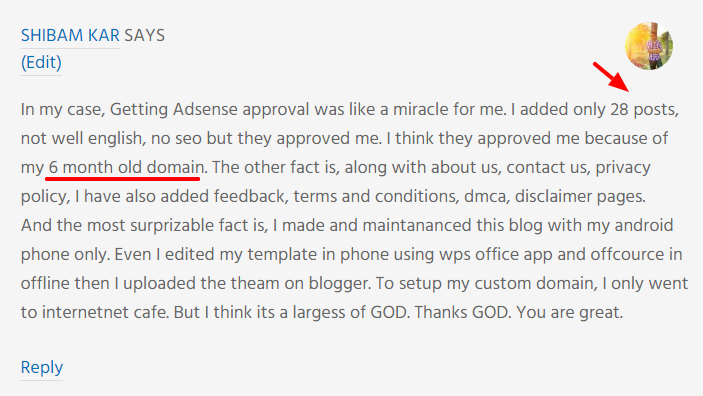 If you got adsense from youtube or blogspot then it will not show up on domain name like funmaker(. )info Because it’s a hosted adsense account and it won’t work on custom domain names. Very useful article i must say. I am planning to go for adsense but i will do that after 7-8 months after creating content. Before that , should i go for other adsense alternatives as mentioned in your post? U have said that before applying for adsense i should remove other ad links. If google will get to know that i have earlier used other adsense alternarives, will they reject my application ? Also i would like to interact with you regarding SEO and backlinks info. You can apply even before 8 months. You can see comments here from different bloggers who got approved for a new blog. So it depends on luck as well. You can use alternatives but when you apply for adsense, remove them. You can contact through email. I have adwords account and paid almost $3000 to google for advertising in 2 months using my credit card and still paying. I applied for adsense account to advertise on my web but my application disapproved with a reason that my web is under construction and i knee that it will happen. I used separate email to get registered with adsense. I didn’t use the one which i am using for afwords. What do u suggest…should i use same email for adsense which i am using for adwords? Well I never gone through this situation. But since you have spent $3k to Adword, there are chances that Google will prefer you as their adsense member. So, you should try from your adwords account. I am new to the blogging world and have just been approved for Google Adsense. I put in my application four days ago not expecting to be approved because of all the rumors I’ve read about being denied with an early blog. As for a little background about my website, it was launched on the first of this year and I have since put up 3 blog posts. As of today it has gotten 115 views and just 2 comments. I have an about me and contact pages and use wordpress. I hope this addresses #6 on your list! I am still surprised at myself for being approved haha. Congratulations on your success. You did what others couldn’t. I’m so happy for you! No one can predict about Google Adsense. I’ve seen many high quality authority blogs not getting approved by Adsense. You’re a lucky one! BTW, are you in Hawaii? I think that’s also the reason. Because Google prefer advertisers from countries like US, UK and so on. Wow, I was just searching for that what should I do that I apply for the Google Adsense because I’m new in Blogging and I don’t what to do. You clear me all doubts. One thing I can ask you that my blog is 6 months old and 20 posts on my blog. I will upload 30 more but if I upload 15 more then what will happen? please update me more about Blog if you are free. Nothing will happen. Just keep your blog high quality. Produce good content. I’ve seen bloggers with less than 30 posts getting approved adsense. So dream big! I discovered your article truly supportive. As of late I have procured SEO preparing so I have begun an online journal for external link establishment reason. I’d like to realize that would I be able to apply for adsense remembering that there will be a lot of articles later on each for an alternate site’s external link establishment. In this way, I wont be focusing on a specialty section or a particular classification. In your another post you have clarified that Google Adsense might obstruct the site because of a few reasons so arrives any way that I could acquire better as an amateur. In addition which stage would be better to blog and procuring, Blogger.com or WordPress? My Domain is 1 year old but i have start for blogging 2 months back. I am planning to go for Ad Sense somewhere in December end or in Jan start with min 40-50 posts. I have note down your points. Any further tips or any update in Google’s policy. hi, ali..my site is self hosting & domain in multilingual wp but its still a couple of week old. I wrote the contents myself, while improving my seo writing skills. I do “plag” check before publishing, mostly 95% unique. The problem is, I accidentally applied it for adsense about some week ago. I’m worried, i’m not violating adsense content TOS but my content & backlink is still low. Is Indonesian publisher also needs to wait 6 months? The visitor good 100-200 daily but the organic is low, what is the effect for adsense? Should I remove my donate button? I don’t recall its against adsense policy, is it? I manually translate and proofread my english content in to Bahasa Indonesia, but for other language i just copy-paste my eng content from google translate. Will this be a problem? i want to learn more about SEO and adsense. can you help me Ammar? do you have material about SEO or adsense? I am new in this field and wants to do work on SEO but cant find helpful material. Can you help me in this or give me the material that helps me in SEO. Sure, I’d be happy to help. Can you drop me an email using contact form on this blog? I found your article really helpful. Recently I have acquired SEO training so I have started a blog for link building purpose. I’d like to know that can I apply for adsense keeping in mind that there will be plenty of articles in the future each for a different website’s link building. So, I wont be targeting a niche segment or any specific category. In your another post you have explained that Google Adsense may block the site due to some reasons so is there any way that I could earn better as a newbie. Plus which platform would be better for blogging and earning, Blogger.com or WordPress? Hi, Ammar. Your article is relly usefull. May I translate your article in my native language?? Of course, I will add link to your website as original source. If you want to do this, you should copy only few paragraphs and give link to my website to read full article. You may add my website to google translator and place this translator link into your blog. Thanks for sharing this wonderful article, It helps me to understand many things before submitting my website for AdSense. I’ve heard that Google doesn’t give AdSense for those domain ( whose include words: Hack, Cheat, or Crack). Now, one thing I need to be confirmed that these words are not in my website domain name, but if I’ve any post about hacking on my Blog, then is it harmful? Yes it is harmful. Because Google is against such kind of content and you may get disapproved. I joined blogger yesterday. I have posted 12 today. I got 100 viewers. When do you think will be best for me to apply for adsence? & posting 12 posts daily is it bad or good ? It won’t be possible to post 12 quality articles per day and it will be red signal for Google. I’d suggest you not to do this and wait for sometime. Your blog is new so there are no chances of getting approved for a one day old blog. Adsense will not approve any website from asian countries if it is 6 months old until they see real value in that. As Ammar stated, don’t over do, start off with slow phase and look to build as you progress and that is the best way for any website to stay in longer run. Hi Friends ! Today I am very very happy as my AdSense Account got approved and advertisements are getting displayed. I want to share my experience with you all. I had started my new website 10 days back only and published only 5 posts then I thought to apply for AdSense so I requested for the same. Within 2 hrs I got email that my website is reviewed and I have to put ad codes on my site. So I did the same and within 13 hours, advertisement is getting displayed. I am so happy as I checked on google blogs many people are waiting for AdSense account from long time and I got total approval wihtin 15 hours. It’s amazing. As far as my posts are concerned It is totally well written by me, unique and total words are between 400 to 900 per posts and website is purely technical contents. I compared my site with above given points by Ammar Ali and absolutely matching with all feautures except total no. of posts. Ammar Ali has listed very genuine points everyone should follow before applying AdSense. Brilliant Manzoor, I’m so happy for you. Congratulation MANZOOR i’m happy for your; i’m too have a hosted account and have created my simple website but adsense don’t approved my application for upgrade my account. Please could you help me for upgrade my adsense ? I have read your content it was really great. Thanks for sharing such a informative content. One of my friend inform me that for Google Adsense Approval you need minimum 500 Organic traffic per day? is it true??? Please help me with this. It’s better to have this traffic. Because even if you get approved with zero traffic. How would you earn? I get your point but it is compulsory that you have 500 organic traffic daily. If i get traffic from referral link or social media then it will not approve or what?? I get Google Adsense approval 6 months ago. I had use cms (WordPress) is blogger. I get 5000 pageviews per day. But my income is very low. Thank you very much. I got adsense on my blog after 1 year. Thanks a lot. Ammar Ali you have done great job to assist blogger newbie like me. We can’t really understand what Google is doing with publisher. I’ve seen new blogs with no traffic getting approved and on the other hand big blogs with good traffic are getting rejected. My adsense request got approved in my 2nd chance. But after reading your blog, i am bit confused. you said on average i need to have 70 + post. But i have only 23. Without Google adsense blog is incomplete,Also one main reason for disapproval of adsense is use same Gmail account which is use for experiments or other link building games. Just make new real Gmail account and apply first for the Google webmaster tools and then for Google analyticals tools if your visitor is more the 60 then apply for Google Adsense. How do you get approved for Adsense when your blog is located as a subdirectory of the domain you own? For instance, my site http://www.jenwoodhouse.com is my main site, but I don’t want to run Adsense on that site. I want to include it on my blog, which is located at jenwoodhouse.com/blog. I still own the domain, but Adsense will only accept the master domain name. My main site was not approved for Adsense, however I think my blog would be because it seems to meet all the requirements (except the URL), but can’t submit it because according to Adsense rules, the URL is invalid. I don’t think so there would be anyway to approve using the sub directory. You can’t even use sub domain too. You’ve to use your main domain while applying for adsense, Jen. This post is really worth reading. Every blogger need to know about the Google policies before they apply to Google AdSense. As it is the greater medium to make money from a blog. I have seen many blogs which are famous but not having AdSense ads. May be they didn’t follow the policies. It’s the main problem of newbies that they always think about making money which somehow distract them from their quality building blog. Thanks for sharing. One of my friend followed all the steps you mentioned for approving adsense and also tried some of other tricks but it doesn’t works for his blog. You can check his blog at seebeetee.com . what should he do to get approved adsense account.? Waiting for an answer from your side. Nice article bro, recently got my adsense account approved by the Google team through YouTube. Just want to ask you a simple question that can i use this youtube approved account for another website. For this, please have a look at this article. You don’t have to have the Contact us and About page on your website. I have seen many websites with Adsense that don’t have these two pages. Even mine. have any idea where is the problem? Me and my friend both got approval from Google AdSense within 6 months both of us are from India, mine in 35 days (you may remember). So I think you should write that those “should” be 6 months older to get Google Adsense account, not must :D.
Ago and have not heard anything. Just a red bar that says my account is under review. Is there a way to contact them to see what’s going on. I am thinking maybe I filled out something wrong in the application. Shall I also remove infolinks from my blog before applying google adsense? Buddy I implemented all the tips given above but still i got denied. Can you please help me in making the corrections. I don’t see anything wrong there. Maybe you should wait a little bit and try again. Right said in your article but i want to ask that my website page rank is 2 can i get adsense now?? Page Rank doesn’t have anything to do with Google Adsense. Go for it. Dinesh, his intention isn’t that subdomains won’t get AdSense approved at all. It takes more time for such domains to get one when compared to TLDs. First of all, thanks for putting together this information. I’m currently using a personal adsense account for a news site and a travel blog. Since I’ve registered a company now, I want to apply for a new adsense account against the company. Are you aware of any Google Adsense policies for such issues? I think you should use the same account for your company. This is because it is very easy and simple to see which sites made you what hence, you can later divide the money between your colleagues and yourself. I have created a Custom Search Engine from google and based on it i have created my website.My website only have the google search option similar to search.mywebsearch.com.I am recommending all my clients to use thing as their default search engine for all the searches and use this as their homepage. I just want to know can i apply and get approval for this from google or not ? currently i have closed to 70-100 visits per day and number will increase day by day as its an ongoing process. Can somebody help me or suggest anything for this ?? I’m afraid I cannot tell you anything about this issue. Maybe reading Google TOS can help you. Thanks For Each and Every Details You Have Provided. I am really thankful to you for your help, I have successfully created my Adsense Account which is Reviewed by Adsense Team Too, Thanks a lot. i read the article and it create a hope in mind to get approved my adsense from google. Actually i had applied for it many times with all fulfilled requirements but still it disapproves my acc. without showing any reason. Please help me to approve it, i really need this and hopes that you can do this. By the way thanks a lot for sharing such beneficial information for me. I got 2 times disapproved and this is my third try , Google has gone crazy, i don’t know what was the problem with me , so lets hope for the best this time following your guidelines. Thanks for the share. Hello Saqib I’m currently building a forum, I want to monetize it through Google Adsense, do they approve forums??? Of course they do approve forums without any problems. Just make sure you are not violating any terms of service. Like posting illegal stuff or non-family content. Read Google Adsense TOS for more help about such stuff. i didint notice the link above ” Difference Between Short Length Post Vs Length Posts – What’s Best? ” Its done well? I cannot click on – Read. Maybe this will help You, cheers! Might be the link is broken, Can you try this? Thank you for your excellent guidance. We have to more focus for original and high quality content with more posts. Google Adsense is all about Policy and it always works on behalf of advertiser rather than ads publishers. therefore, we have to focus our blogging and making money through organic ways. Your site seems to have serious server issues. Resolve them. I have read your post and it is really awesome. I have tried many times in Google Adsense but, every time it says, “Google Policy not mached”! I created About, Contact Us pages but, I can’t get approval in google adsense. You should a better Web Host. It is the 3rd time I am trying to check out your site and it is still down. These information is very useful. Before i always try to apply at adsense on my new sites and not considering some factors for their approval. Then i read this now i know why all those my applications on the adsense were not approve. But showing your email at the about or contact pages is very dangerous specially for people who will take advantage for it. All in all i love the topic. I have earlier applied for the adsense and it got rejected and the reason was its does not comply with google policy and dont know what is the main reason can u please help me ?? Your article is quite thorough in all the aspects. Actually, my blog is quite new and I think it will still take me some time to apply for Google Adsense. But whenever I do, your article will definitely help me lot. I’m really really glad to hear that Mayank. Good Luck with your site. And I want to ask amaar you dont use any ads program so how you afford website expenses?? I think he is not free yet to reply because he got tons of things to do on daily basis. I know and I know why he doesn’t use Google Adsense. But the answer to your question is that Ammar is affiliate marketer. He not only affords this blog but also takes bunch of profit. Google is bad boy, “they hates sites that are getting Paid traffic” what about with they “Google adwords?” (paid traffic too!). Yes. You are right. For some websites who wrote unique articles they got rejected several times and who wrote copied content are got approved very easily. We can’t find what’s the exact thing wrong in our site, as their(google’s) reason to reject is not clear. Every time they sends the same reason “Your site doesn’t comply with our policies”. So not easy to figure out the issue. Wow that is a good piece of information! I thought I could just apply with my blogspot adress (Blogger encourage us to do it, do they not?). Anyway, I can expect my application to be rejected now, I’ll now how to have more chance next time! This information is what I’m looking for. I have less than 20 posts on my website but I am planning to apply when it has more than 100. Do you think it would affect my application If lets say 10 out of 100 post has less than 300 words? You mention it being on Red Signal so i just wanted to be careful. Very nice information but i have a small problem at last time i followed this tricks i got adsence approved but now this time its not allowing me with the different payee name. What to do now ?? is there any other UPDATED way to get approved ?? As i am a fresher to this seo i got many useful tips to start a new business easily.. Thanks for the informative post. Glad that my blog meets most of the points that you have mentioned. Out of the blue I just clicked and applied for Google Adsense and Lo! I was surprised to have my first approval to incorporate my Ad code on the Website. Hope to see the Ads soon. I got rejected by adsense several times..i read somewhere that if you have copied some images from Google image Search then Google will disapprove your application stating “Sites Does not Comply With AdSense Policies”. I want to confirm that can this be the reason for disapproval of application?? I am sorry to say that I am not able to see the post. Just what I see first is author bio. Great tip! Saqib, it was good to read this post and know your experienced knowledge on getting AdSense or a weak substitute approved. Please keep writing and let us know more on AdSense. Awesome tips thanks for sharing.next when i apply i will ensure these things thanks for sharing this ! So…Can I Put Adsene On My Android Site? No, You should not. I think it’ll danger for your adsense. I want to have a Google Adsense account. I’m going to apply it from this. Before I apply can I know this thinks. Can I use a free premium template on my blog to apply for adsense? I came to know from some group it is not allowed. If I apply to adsence with that premium template adsense will not accept me? Also I want know can’t I put some software direct download link on my blog? Is it not allowed in adsense? But I have seen some other blogs they are put direct download links with adsense ads. Is my domain must 6 months old to apply for adsense? Hello Ammar, Thanks For This Great Informative Content. I have a pr2 Social Bookmarking Site that i have built with Pligg. previously i was applied for google adsense but in response they said contact address invalid. but my contact address correct. What to do now to get approved? Hi, Ammar. Thank you for sharing this post. I am about to apply for adsense and will consider the tips you have laid out here. By the way, will the domain name affects my application. As you can tell I have a domain that ends with dot me instead of the usual dot com. Would that be an issue? Thank you so much for your help. Thanks so much for the advice! Unfortunately, I’ve also read people opinions that say that Adsense is a scam and that if you give your Social Security Network number, it will shortly deactivate your AdSense account and withdraw all earnings from you…. I don’t know if it’s true, but I just hope that Google is trusted. Also my date of birth on Google account is 26-October-1996. 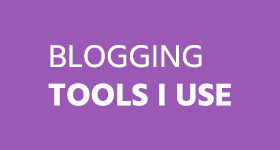 Thanks this post was so informative.Does Google approve blogspot sites ? and i also have one more doubt how to change the age in google adsense ? i am also facing that age restriction. I want to apply for Google Adsense. I am going to upgrade my blog from sub domain by paying $99 to http://www.blog.com. But I am not sure whether http://www.blog.com allows Google adsense to place ads. I have read on WordPress that they do not allow Google Adsense Ads to all. Suggest me whether making a new website is good option or upgrading my blog by paying $99 dollars. Getting into Adsense is really difficult. I’ve tried three times now, and it says I have insufficient content. Is there a guideline as to say you need to be active for so many months or have like 50 posts before applying? And is it really true when you say I have to have a .com domain, and not a blogspot.com one to qualify, because they never specified that in my email declining me. BTW, I have about 43 posts, and have only had my blogger acc for about 3 weeks, but there is a lot of content and a few extra pages. I really appreciate this article! I was missing a lot of the items you talked about and I surprised myself since I am a web designer!! But I still probably don’t have enough blog articles. I just wish Google would give reasonable reasons why you are turned down. I was told insufficient content. So I asked what that meant. Well… you need original content. What? I write all my own content. Well… you shouldn’t probably go for adsense anyway because you will just get competitor ads and will lose business. I was really surprised by these responses. I will be starting a new tutorial blog with vids, podcasts and blog articles and perhaps I will try again later with that site. If you get a chance and can look at my site, I wouldn’t mind any feedback you may have! I tried to do everything you suggested – I just need more blog posts. really pleased to see your post, very explained about all aspects of adsense, I will highly recommend this post to people new to adsense. however they block accounts and never release it again whatever you do, is there any method to recover account? This article is great! I getting problems with applying to google ad sense, too. Tried 2 times and now i will stop, especially after reading this. 90% of mine posts are below 300 words, damn. I have only few (maybe 10) above 300 words. Now, my question is can i continue to posting without deleting old, but with 300+ words, or i need to delete them ? you perform a very good post, can you help me for a problem, I just want to know that. can I generate income from a blog who contain only images ? You can also see more than 200 advertising networks at betterwebads.com. Which one du u prefer ?? I was recently advised by a Google ad sense support member in one of the forums to take out all the images I posted that came from the internet. I’m meaning to follow the advise actually and will take all the pictures out that came from internet sources. But do I have to really do this? You did not mention in your post that the images should be personally owned and not taken from the internet. Do you own the Google image that you posted here? if I may cordially ask? I normally get pictures from royalty free and free sites offering images. I ask this because I can see many websites posting the same pictures and images from the internet. Also, I was advised to take down all articles that did not come from my own original thoughts. This I think is too much since most of the articles that we read online are re-written and basically the same topic presented in the authors own thoughts. Apparently, the article should truly be original and without any means of comparison with other online topics. I really would like your input on these issues about my site. If you have the time to spare, I would gladly appreciate your inputs. And I will never have money to sign up for Google adsense? And now i should stop dreaming about earning money or anything. Every other post i read sugar-coated this and made it seem like it would be so easy. thanks to author … Hurry by following this simple tips i got adsence approved. Kindly tell me one thing. I have started a new blog on wordpress with a premium theme and have written some unique, original & SEO articles. My blog is only 1 or 2 months old. Is there any chance of adsense approval if I apply now? Guys, give only practical answers. I was able to get up and running and my blog is about a month old. Sir my website is 35 days old infolinks are active on it so can i apply for adsense with infolinks or not ? Why this? Do i need to do some settings in Ad Servers??? Thank you for this great advice. I am new to blogging but I intend to add content on a regular basis. I have a blogspot blog and I just wondered if you could explain further about purchasing your own domain to get approval for Google Adsense. Is your own domain basically like your own website and then you need to link to your blog separately? Sorry I’m new to all this! Niches are not problems as far as they are not breaking any rules of Google. Indeed it is very useful for me. I applied for google adsense with 10 post. But they rejected because of insufficient blogs. Now I am writing blogs. Please check my blog and advice me. I explained theory with youtube video. Please advise me. Hmmm…You are going good Jangan…. I am very interested in continuing my blog, but I would love to get into adsense. I have completed everything you posted on here and have been updating my blog and getting decent and increasing traffic. Can you (or any other readers) possibly tell me what I’m doing that is keeping me out of Adsense? Nyc work done by you on this post. Funny as well as interesting… Actually, me gonna apply for adsense and m searching precautions needed before applying adsense. This is must for Asians. You are absolutely right…There should be a gap and improvement when you apply again. hey i am approved by adsense but i m just getting 0.9$ per click it is not increasing it it due to my domain????? It depends on many factors like your content, niche and keywords etc too. Thank you very much Samiullah. I don’t think you need any changes..Its fine. Second point that you had made is not true as i applied after 32 posts and i got AdSense approved for my blog and its only 2 months old. Thing that matters is whether you are posting unique content and traffic from Google Search. I have enjoyed your post really. If our content is really made for readers and if we should follow this tips properly before apply for AdSense then it will be more easy to get approve fro AdSense. Thank for this, I really need this to be approve on adsense coz everytime I try I always get rejected. First of all I must say, thanks for submitting these wonderful tips for getting approval in ad sense in a proper way. You covered almost all the points with nice explanation. I already got the approval in Google ad sense. Would like to share how I got the approval. Just wanted to ask one question. 1) Can I use multiple accounts and even operating from same Laptop/ computer? No, you cannot. You don’t multiple accounts because you can place your ads from account on as many sites as you want. Getting irritated with google adsense, I applied two times and same rejected. What i have to improve on my blog. My blog age 5 months and total visitors 350 up to now. I have to wait still more months. I got approve my AdSense just for 40 post. Adsense will check your website quality that their advertiser would be profited from that or not. So this is very hard to say about minimum post requirement. Once you think that your website is ready for AdSense then you may apply. I think you are looking at this incorrectly. Last Wednesday, I decided to add Google adsense to my site. I read about it (for the first time) and applied. I had the approval within 24 hours. I added the code to my site and 24 hours later, so Friday night, I had them appear. I had been fully approved. Perhaps, you are loking at this from a bloggers point-of-view. I proper website obviously get easy and quick approval. I’m looking at it from the point of view that I should…I cannot tell everyone to do something if it goes good for me only…As blogger, I have to analyze a lot of things and ask many people before making a last call….You’re lucky to get account. I read your article and after making all the adjustment like you said. I almost lost of hope now I applied my site multiple times but still cannot get through final review. Please tell me if there was any problem with my website. Adsense did not provide specific reason why. Thanks so much for this post Saqib. I’m very much a newbie & it’s given me some great information. I’ll check out some of your blogs now too because the info was so good this time around. I found this post through a Google search. Keep up the good work. I have a pligg based site, Can I get approval?? Hey.. thanks for your kind post… my website http://www.funaims.com contain videos, games, messages etc. I am getting embeded code from other site for videos, so is it any problem in it to be approved the google account??? It is problem if videos are copyrighted. I currently under a partial approval how many traffic do I need to get to have a big chance of getting approve? Dear friend Traffic doesn’t have any major role during review, as u know, review is done by humans so, u’ll be in safe side if you have some organic traffic and also it provide a good psychological effect to the reviewer. I think 1000 pageviews / Day is safe to go. Organic traffic through Google is plus point. What you think Akhilesh? Google says traffic is not an issue. Thanks for your sharing Saqib. Some webmaster also suggest about traffic and PR. what do you thing? No one knows exactly how the system works but we can guess…. That’s weird, I got accepted into Google AdSense with no traffic and just a couple posts. Did have all the necessary pages. Now I cancelled my membership with bluehost though and deleted my site because I cannot do the blog and also do my homework at school because I’m not gifted at all and it takes me hours longer to understand something or memorize. Great tips ! Most of the bloggers are suffering much trouble applying adsense.your this article is going to solve the problem of many newbies….. Sounds good since this is the biggest reason for me to cover this topic. They say to wait 6 months but there is nothing wrong in trying before. My site is less than 1 month old. I guess I have to wait more. Thanks for this. Just dropping by… I just made my blog last December and I know for sure that it is still not acceptable by adsense. I just curious if they are also strict about images I placed on every post I made. I don’t own the images but may textual content are geniune. Please check it too. I hope you can tell me or suggest somethingI missed anyway I’m still haven’t post my About page. But I’m getting into it probably by next days. I have tried a couple of times to get ad-sense account but got a different reasons not be approved and the last was not enough content, i will apply again only when i have 50+ content pages on the site. Article is well written with all required info. but the problem is the newbies searches for this information when they already got rejected by adsense several times. How many times someone is rejected should not be a problem. Very well written post. I must say that it is really helpful for the new blogger to getting a chance to approve Google adsense. Now it is very clear that most of the bloggers are suffering much trouble when they are applying adsense. But now reading this article they are not compromise their lacking i think. I think the same..Thanks for your kind words. That’s how it was but those days are gone forever now. just now i started working on my new blog for the first time. To apply for addsense is it necessary to register our blog for getting domain….? Many folks say that they got approved without TLD’s but I no longer believe on such theories…Top Level Domain is must for Adsense. Hello Saqib, i had followed all these 12 steps but still adsense team reject my application (its 3rd time) can you suggest what mistake i’m doing…??? I can see Adsense at your blog bro. Can i get Google Adsense Approval without buying my own Domain name? It is not an easy thing these days if not impossible…A domain name doesn’t costs much so I suggest you to go with it.. Still Not getting approved for adsense, But I tried this placement with the different AD-Servers, they are giving the satisfactory Payout. I Was rejected by adsense even after following all the techniques mentioned here.. My domain registrant name is different.. Is that of concern? Surprisingly, I got Adsense approval without having all those 12 things. But, letter they blocked my blog and then I came to know all those things. Thanks for sharing such a helpful tips. really after reading this post it felt yes i was forgetting something.. google approval is really hard but if the above 12 tips are followed , then we can get approval quickly. anyway. mine 11 things are done. but one was missing i got it now thanks Saqib. Is it domain registrant name will effect the google adsense approval? I mean if the domain registrant name is different with the application name. No it won’t. But the name in About Page at blog should be same. i have applied in adsense for 3 times and rejected all . . hope this time i get into .. Almost all those points laid out for approval for adsense are not valid and not necessary. To be honest with, at a time of applying for adsense on my blog, I had no privacy and my blog had less than 5 articles but my account was approved within a day. I guess the rules were different in your case. I’m pretty sure that you got your account way back like in 2007 or 08. I dont think its true coz there was no menu links except home page in my blog. But I got adsense approved after applying. But after the year they disabled it due to unknown reason. I already applied three times but my application got rejected. I will try these steps and reapply. Will my site http://www.vbtutes.com be approved with Adsense. Should I apply now? Please see whether the length of my posts is ok, especially the sample programs posts as they are very short. Enjoy the fruit of your hard work now…Part time for you…. He has 20+ posts only, and it is blogspot.com domain(not TLD), also i want to add, it doesnt matter if you dont have private privacy. and of course, at least, your blog/site should have constant traffics. You must be really lucky…. Okay guys i applied for google adsense twice and got regected.What do i do? Does google adsense accept tumblr? Please how can i be accepted with google adsense in tumblr ? Google replied to my google adsense requested and said my website doesn’t match their criteria.WHAT DO I DO TO GET GOOGLE ADSENSE ? HELP! HELP! very useful tips for a new bloggers.When I started my career in blogging I faced many up and down . these are few steps which i have used before applying for adsense and got my adsense account. hope this will also help for taking participate in adsense. 1.your blog is 2-3 month old. Your domain age matters not Content Age..So most probably , you’d still have to wait for six more months. Minimum Number of Posts 40-45? That was your luck..Nothing else. May be you are right, but I am not the only. Actually I believe that bloggers who don’t care about it gets it easily (may be by luck) but those who knows its scope, faces more difficulties. Life is contradictory!On the other hand bloggers those who got the adsense easily usually notice its impact (and importance) when got banned (they don’t care about policies). I got my website approved just within 10 days of formation for google adsense. how ajit?? its about 6 months and my blog got rejected..can you please tell me?? Adsense approval has always been considered as a difficult task by some, because they simply don’t follow the important policies you’ve mentioned here.! thanks for these useful tips. But i have also seen some low quality blogs getting approved by adsense. so it may depend on your luck. It happens rarely…Most of times, people do some kinda blackhat tricks to get the accounts that get banned before getting the first payment. This is awesome post for all new bloggers. But you did not discuss anything about blog traffic and seo in this post. According to Google itself, there is no certain amount of traffic that anyone need. You may get through it with 20 per day or someone may be advised by Google team to still wait even he is getting 2,000 per day. Has anyone had recent expereince with joining adsense through Hubpages? I heard it is easier to do it from there. I also heard and want to know more about hubpages. Can you write an artical about hubpage? google do not allow adsense users from hubpages, instead of hubpages, get a domain name map on either blogspot or self hosted wordpress and then apply to google adsense. Thanks for bringing this post..But let me tell you Google is not following any fix rules what I have analysed ..I have seen worst quality blogs been accepted by Adsense team where as good quality blogs not. Another thing suppose you and me created two blogs with almost same design and articles are on technology,seo tips and other blogging tips. One will be approved and other wont..I’m telling it from personal experience. I have seen many top bloggers earning 6 figure income but 60% of their articles are copied from other sources..but they are enjoying their money with no hassle. So we can only follow the theory . Hell Yeah, I feel great to be helpful.. This is the best adsense implementation tips I have read so far. Also if traffic is low then it might not be a good idea not to place adsense. This will scare visitors away. I was not aware of having contact details, thanks for mentioning them. I have seen bloggers who keep complaining that Google is not approving their adsense. They must read this post because this post have clear idea that what is the exact and authentic way to have adsense. You have mentioned everything that a good website should have for the adsense approval. Hell Yeah…Approval rate will not only increase , it will have a boooooost..
One of my friend got approved in just 20 post (each post was near about 100 words with lots of images) while my other friend was rejected even after 100 posts (each post was 2000+ words). Adsense is weird. Now a days its easy to have adsones on your blog just your blog have some visitors and its should be just 6 month old I have adsones on my blogs and its not too much old have very low rate of traffic now a days earning from adsones has been changed now people earn from blog with different ways. I agree with all the mentioned points except ‘Minimum Number of Posts’. I got Adsense account approved with 30-40 articles. And also domain age along with Traffic is a must considered factor before applying Adsense. oh…I just looked in top section and figured out that.. I got rejected by adsense 3 or 4 times. But now I don’t need their approval :p (really, I mean it). I suggest, try to provide some services in which you are expert and make money from them. Why every one is running behind adsense ? Adsense is not everything, it is just like one more resource. If you really work good, you have lot of other resources for making money. Give them a try ! Don’t think so much about adsense, because it can’t feed everyone by enough dollars. You can enjoy adsense income only when you have some other resources of money on your blog, otherwise you are hard morking much more as compared to adsense money. So, first try to give some valuable service to your readers, make your own income sources and then use adsense for earning some EXTRA cash. Very nice Tips. This post will help new comers. Nice tips to get approved by Google AdSense. According to me, having a top level domain and some traffic are two of the most important things which you must determine before applying for an AdSense account. I have been rejected 10, 15 times, but after reading this post I gona try once again. Let see what happens. Few months ago I wrote an article about same subjects. But I didn’t mention those requirements . Now I am going to update my post. Tanks for the sharing. It is very true that getting google adsense approval is very tough . But i think if we follow the above steps then we can get adsense easily. I got mine approved with 24 posts :O Hope I don’t get any issues later on! BTW stop displaying your age. Even after you become 18, it would never be a must or useful to show your age to people. Just remember that teaching and learning has nothing to do with age. PS – Why can’t I see any adsense ads here on your blog huh? I want to make this blog free from ads :D That’s reason you can’t see much ads here! This is a great list! I was fortunate enough that I still had my Google Adsense account from *ahem* 2006 so I didn’t have to struggle with this. I saw you mentioned domain age as a factor – and I think this is starting to become a bigger one now. I wouldn’t even bother attempting to apply until you hit that six month mark. But follow everything in this list and do your best to follow the “white hat” path and if your getting enough traffic with enough content you should get approved with no issue! Nothing is impossible… But that doesn’t happen very often these days. Believe me Traffic doesn’t ave a major role in but however it can help. The most important thing for approval is Content Quality, Quantity and Presentation..At least this is what lead me getting into Adsense. Thanks, I was about to apply adsense, I think I will stop and follow your tips before do anything else. Still have one more question… Isn’t there a legitimate way around the age? Will Google approve if someone over 18 apply on my behalf for my blog? Also, are you guys not using the ad-sense in this blog? It would be cool if you shared your metods and system. I couldn’t find any service so far that allows anyone under 18. The admin of this blog is 17. Please do share your methods, it would help the newb like me – a lot! You can’t get adsense if you’re under 17. If you want someone to apply and receive money on your behalf, than might have to enter his name in about page or give some reference in a visible region of your Blog. I think you have covered almost every aspect of new level blogging in this article of yours. And, it is required for applying a new Adsense account, for sure! I’m not sure if it is what is been counted 3 years back when I started blogging and had applied for Adsense as that time I was very new to this field and I got Adsense very easily so I think that time having a Adsense account was like 123. I agree… No doubt about that. This is awesome post for all new bloggers. But you did not discuss anything about blog traffic in this post. What do you think about that? Google used to approve “Blogspot” “wordpress.com” and other free domains which is not happening any more.. I recently applied for adsense I don’t think all these things are necessary as me and my friends got approval just by giving the domain and we had only two articles published with no such About or Contact us Page. Wish me luck please. I have applied and I am still waiting for it. Its been 2 weeks now. Just curious. How much does it takes to get approved? The articles and snippets are original and to the point. Accept the contact page all other pages have good contents. Usama may be you were lucky, I have decent visitors and 100+ posts but got declined twice and now I am scared to apply again. I will wait for a while before applying. By the way, this article got some really solid points about what google want from applicants. I will apply them after making changes to my site. Thank you Saqib for these tips. There might be some cases where the application gets rejected due to some other reason and people assume the reason to be the Lower level domain …. All You need to have is a good website following Google adsense Policies solely and that’s it…..
yes its true dear google not approving accounts and their policy is to much stick now. but apply above mention tips gives you better chance to get approved. I have old adsense account, approx two year old. How to add with my new blog? You just need to add the ad codes to your blog. You don’t need to place ad code. You can also verify your new blog on My sites option under Adsense.